Firstly, apologies for the lack of posts, I didn’t quite manage to schedule enough to last the whole of my exam period, but the good news is I only have one more exam left which is next Monday and I’m taking a trip to Westfield to celebrate the day after! Nothing like a bit of retail therapy hey?! 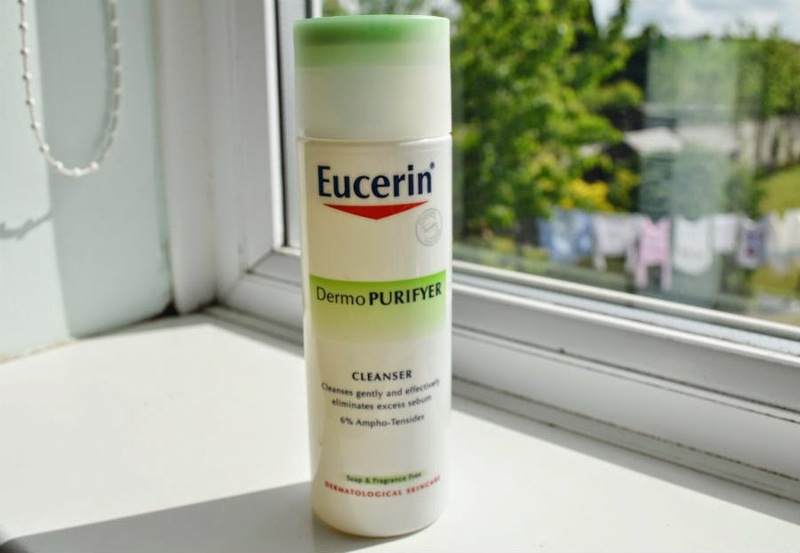 Last week I received the Eucerin DermoPurifyer Cleanser* from Escentual. I always love trying out new skincare products and this one certainly didn’t disappoint. The product is of a very liquidy gel consistency which you apply to a wet face to create a lather. It’s actually aimed at more oily skin and those who get a lot of blemishes like myself so probably not ideal for those with dry skin. I’ve never heard of the bran Eucerin before so was keen to try it out. After using this every morning and night for just over a week, although it’s not a long period of time, I can already see the results it’s having on my skin. With exam stress and hormones I’ve had a lot of breakouts recently but this has definitely kept them at bay and helped get rid of the others at a much greater speed than if they were left untreated. I’m excited to keep using it and see the long-term effect it has!